For many people, practical day-to-day obstacles often get in the way of their commitment to improved health, fitness and regular exercise. This can range from too little time to having a gym that’s just a little too far away or with inconvenient opening and closing times, and a reluctance to work out in public, especially for those starting out on their fitness journey. All these possible reasons are why hiring a personal trainer to work you out at home can make a huge difference, especially for people who are new to exercise or who have jam-packed schedules. 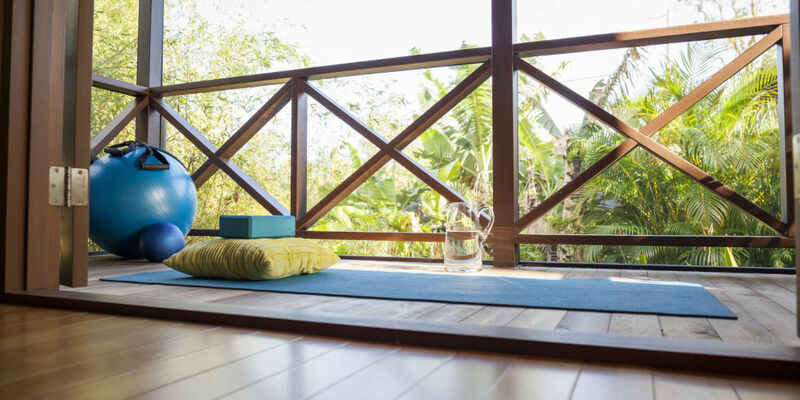 It may sound like something that only Hollywood celebs do, but more and more people today are discovering the advantages of working out in the privacy of their own homes! When you hire an in-home personal trainer, you make the most of your time. There’s no packing a bag of clothing and gear, no traveling to the gym, no searching for a parking spot. Your trainer arrives at the scheduled time and you spend your allotted time working out. When time is tight, in-home personal training lets you spend more time getting fit and less time in transit. If your body is less than what you believe to be perfect, it can be intimidating to work out in a public gym. It can feel like all eyes are on you. With an in-home personal training program, you control the temperature, music, cleanliness, and you get to exercise without an audience. You literally only have to roll out of bed and throw on some workout clothes – and they don’t even have to match! In-home personal training often focuses on exercise techniques that require little or no gear. If you already own fitness equipment, your trainer can include it in your workouts. If you don’t have any gear, don’t worry; your trainer will bring everything you need for a great workout. You’ll learn to be fit anywhere: at home, at your in-laws’ house, in a hotel room, and/or in your office. 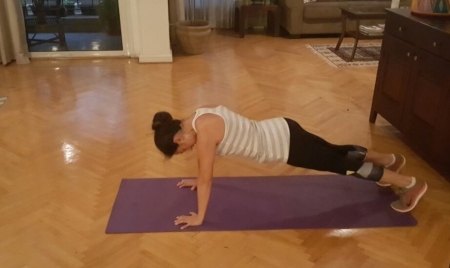 Home workouts are especially great if you have small children, as many of my clients do – they feel more comfortable working out with their kids within reach. It’s a big bonus since childcare in fitness facilities in Egypt isn’t a real option. In-home personal training gives you one-on-one attention from a trainer with no distractions. The personal training you get at a gym or recreational center is often standardized and not exactly personal. When you hire an in-home personal trainer, you’ll get a tailored fitness program that will work around your limitations and help you reach your fitness goals quickly and efficiently. It’s pretty easy to talk yourself out of a trip to the gym, call in sick or miss sessions simply because you don’t want to leave the comfort of your home. But when your trainer shows up at your door, all your excuses go out the window. Your scheduled appointments will – hopefully – keep you on track toward your fitness goals, and your trainer will help keep you motivated to exercise. I train a lot of my clients at home so I bring the necessary equipment and expertise and all they do is clear away a space and bring their energy. As with all my clients, we spend some time working out their particular needs and fitness goals first, and then work out a the best program and schedule that can be adapted to their home. TRX I’m a big fan of TRX, which is portable military-style suspension training using a system of ropes and webbing called a ‘suspension trainer’ that allows you to work against your own body weight. It’s a killer workout that targets individual muscle groups as well as your core – and it’s totally portable. Boxing I have a pair of gloves and pads that I take to my clients for a great cardio workout – this is particularly good for competitive souls who don’t like to feel like they’re working out. It’s a great way to release tensions too – and at your trainer if you feel like it! HITT (High intensity interval training) This is an exercise strategy alternating short periods of intense exercise with less-intense recovery periods, so I may get you to jog in place at your highest intensity for a minute and then take a break. It’s great for home and gym! 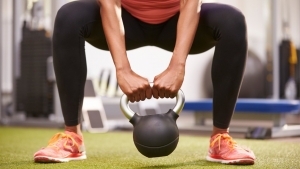 Bodyweight exercises These are strength training exercises that don’t require free weights. The individual’s own weight provides the resistance for the movement, like pull-ups, push-ups, squats, lunges, and other common bodyweight exercises. Not all my clients have their own weights so this provides a good alternative. Dynamic Training This is ideal as the core of a warm-up routine because this technique is used to activate muscles you use during your workout. For example, a lunge with a twist is a dynamic stretching exercise that engages your hips, legs, and core muscles. Plyometric Training Also known as “jump training”, plyometrics are exercises in which muscles exert maximum force in short intervals of time, with the goal of increasing power (speed-strength) – like jump squats, one-leg hops, box jumps. It’s not for the faint of heart or novice trainer, but a fun alternative to everyday strength training that can be developed with an experienced training coach. 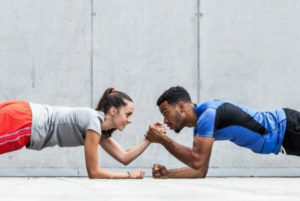 Core Stability Training This kind of training targets the muscles deep within the abdomen which connect to the spine, pelvis and shoulders, which assist in the maintenance of good posture and provide the foundation for all arm and leg movements. Exercises include planks and side-planks, rotational lunges, crunches and bridges. Whatever and wherever you workout though, remember that your personal trainer can only do so much to get you fit – the real hard work, effort and determination has to come from you. If you have solid goals in place and you’re willing to work to achieve them, the sky’s the limit. Happy training! 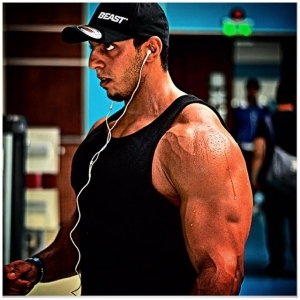 Sherif is an ISSA-certified Elite Trainer who offers intense tailored personal training packages - either in your home or at a gym or venue of your choice – that are designed to help you get in the best shape of your life. 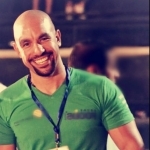 Specializing in exercise therapy and sports nutrition, he also offers a range of cardio and body conditioning techniques, from strength training to boxing and TRX, a powerful and portable dynamic strength program. For more information or to discuss your fitness goals and create a tailored program, message or call Sherif at +20100 301 9296.